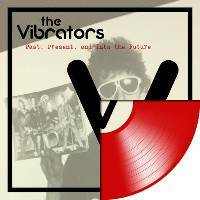 A brand new album from UK punk rock icons The Vibrators, who are celebrating their 40+ year career! Features a unqiue line-up with contributions from former and current members including founders Knox, Eddie, and John Ellis along with V2 era bassist Gary Tibbs (Roxy Music), current bassist/vocalist Pete, guitarist Darrell Bath and production by original bassist Pat Collier! Available on CD and on limited edition red vinyl!